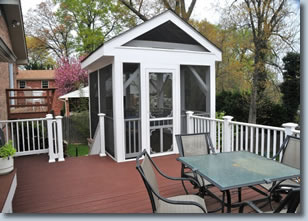 Many of our customers communicate their satisfaction with our work. Below we share a selection with you. Please contact us for testimonials regarding the work in which you are interested. Please pass on my compliments to everyone who helped make the annual opening of my pool such a smooth and pleasant operation today! From David who came (the other day) to the men who came today, to all those at the office, everyone did a great job! … The exceptional service they provide speaks for itself, but for us it’s really the people that count. We consider ourselves fortunate to have our spa in such good hands and regard the entire staff as friends. Your team was outstanding - always polite, professional and responsive. The pool looked great all summer. Billing was clear, timely and easy to pay, and your office staff was always available to answer questions. I was also very pleased with the pool fence delivery and installation, especially the quick turn around and updates on scheduling the work. Overall I'd say the service was terrific. …Your service is excellent, and everyone I spoke to or had a dealing with were very polite, informative and pleasant. I will be having your people close my waterfall next week, and I am confident I will be more than satisfied. You run an excellent company, and are fortunate to have good people representing Capitol Pools, Inc.
"Thank you for your work to get our pool running smoothly—lights included—for our recent party. We appreciate the professional and extended attention—even a Saturday visit to make sure everything worked. We are grateful for your help!" My pool is so extraordinary this year….gorgeous clean and I swim every morning. I love it". 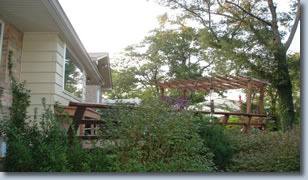 The job was to remove the old deck and replace it with one designed by Frank Shultz, our resident construction expert, and the customer. 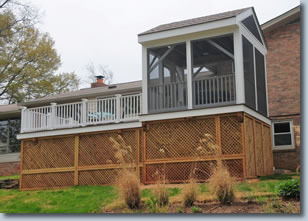 When visitors come to our home and rave about our new deck they often ask, “Who did this great work?” And after telling them, “Capitol Pools”, they say, “How in the world did you find a pool service company that can also build beautiful decks?” We wanted you to know that while we are thoroughly delighted with the new deck and we are equally enthusiastic with the honesty, integrity, trustworthiness and superior work ethic of the team that completed the job. We trusted Frank without question and his team of workers were the most courteous and hard working men we have seen. To call them workers almost misses the point. They were real craftsmen. 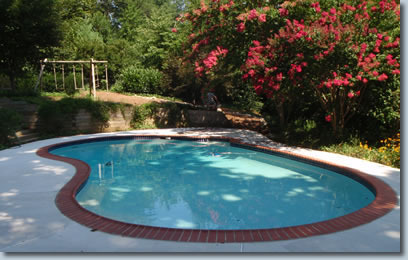 "Thank you for giving such good care to our pool. It's been quite unexpected and you've been there to resolve all that has appeared; for that we are thankful and grateful." 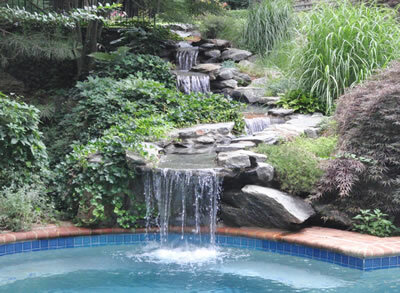 "I use my pool throughout the year on a daily basis, and I cannot afford any down time. That is why I have stayed with Capitol Pools for weekly service for over 20 years. During that time they have done everything from changing the pool light bulbs to replastering the pool surface. Their office manager, Jane, IS customer service. Thank you, Jane, for keeping the boys headed in the right direction." "Our family continues to be pleased with Capitol Pool Service after 10 years. They provide personal, friendly and very efficient, service. They are quick to respond to our problems, which are few, since they anticipate and solve them in advance. Their staff members are good friends of our family by now!" 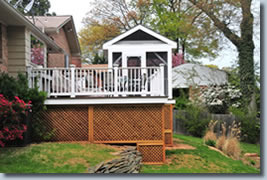 "I've been a client of Capitol Pool Service since 2001 and couldn't be more pleased about their customer service, pool maintenance and pool refurbishment capabilities. They really pay attention to their clients' needs, react quickly to problems, and are extremely reliable." [contact Jane for a phone number]. Capitol Pool Service is astonishingly good: Totally competent, timely, concerned, polite, and unobtrusive. If we could find one more company as good as theirs to help maintain our home, we'd probably also win the lottery. Capitol Pool has been taking care of our swimming pool for nearly 25 years, providing always reliable, quickly responsive, great service every season. While the company is long established it is also up to date -- our family trusts them to know what is best to do in any given situation -- not just for our pool, but within our budget. Probably the best attribute of Capitol Pool, though, is that it is a family of good people who care about their work and about us. We are very grateful. Thank you for your estimates. I am happy to accept your proposal for the Mesh Green Loop Loc Winter Cover and I am returning a signed copy herewith. It would be great if the cover can be installed before I leave on vacation. Thanks for all your help and your pleasant and considerate customer service manner; these are rare courtesies these days and it is a pleasure to do business with establishments that continue to provide quality service in this area.